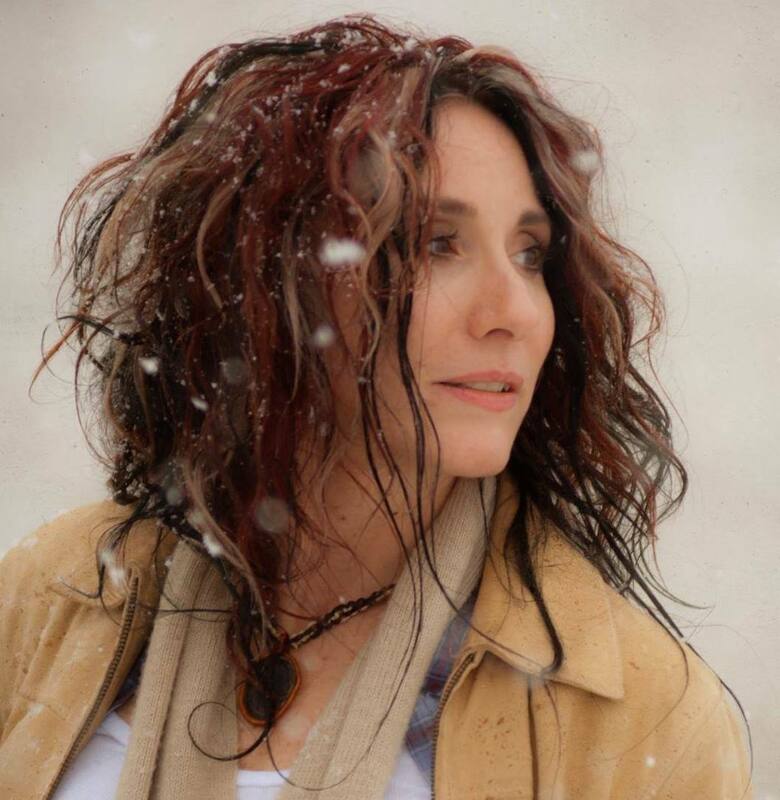 Named Psychic of the Year by UFO’s & Supernatural Magazine (Issue 3, Dec.-January 2012), as well as Most Noted UFOlogists in 2012 (UFOs & Supernatural Magazine, Issue 4, January-February 2012), Danielle Egnew is internationally renowned for her litany of layered spiritual talents. Applying her skillset which encompasses Clairvoyance, Clairaudience, Clairsentience, Empathy, Psychometry, Mediumship, Remote Viewing, Profiling, Spirit Guide Channeling, Angelic Communication, Extra-Terrestrial Interpretation and Tonal Healing, even outside-the-box spiritual ministry, Danielle Egnew has worked as a Professional Clairvoyant and Medium both in the private sector and the media for the past 12 years. She is a vetted alumni member of Best American Psychics and the national crime-solving organization Find Me. Her forward-thinking perspectives on consciousness have been featured in the Washington Post and The Huffington Post. Danielle’s often disarming and approachable demeanor nearly masks someone whose vast knowledge of spiritual practices and paranormal phenomenon has landed her in the “expert” seat on more than one panel and production team. Along with her reputation of assisting law enforcement on cold cases with great success, she has been featured as on-camera talent on several television projects (ABC, NBC, USA, TNT) including an appearance on the Psychic’s version of The Weakest Link alongside five other Psychics and Astrologers recruited nationwide, but she has been a content consultant on a number of paranormal television programs including Lifetime’s America’s Psychic Challenge, the CW’s hit series Supernatural, and the blockbuster film Man of Steel. 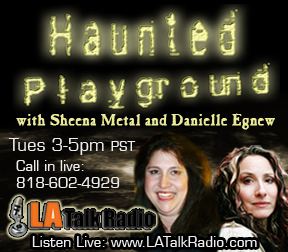 On the radio, Danielle co-hosted the hit Paranormal Talk Show Haunted Playground on LA Talk Radio from 2010-2014, alongside talk radio icon, Sheena Metal. Feeling a calling toward outreach and education on the topics of the spiritual and paranormal, Danielle enjoys regular appearances on radio. Her experience with many types of spiritual phenomena lends her to repeat guest slots on many AM / FM / Online radio shows all across the nation as well as across the Atlantic, into Europe. Most recently, Danielle hosts Psight Unseen on MTRadio.net (currently on hiatus due to event scheduling, archives available), a weekly live call-in show that covers relevent spiritual topics and mysteries of our times while reaching out with healing to live callers across the USA and the world. Now it’s easier than ever to find out what’s happening in the Universe. Subscribe to Danielle Egnew’s YouTube Channel The Signs and Wonders Network (SNW/NET) and received regular updates on what is occuring in the Spirit-sphere. With a candor that explains the most complicated spiritual principles in an easy-to-understand conversation, Danielle regularly supplies to-the-point content to the channel surrounding insight on major world events, predictions, UFO’s and OffWorld Issues, astrological alignments, and much more! Stay tuned and stay in the know! 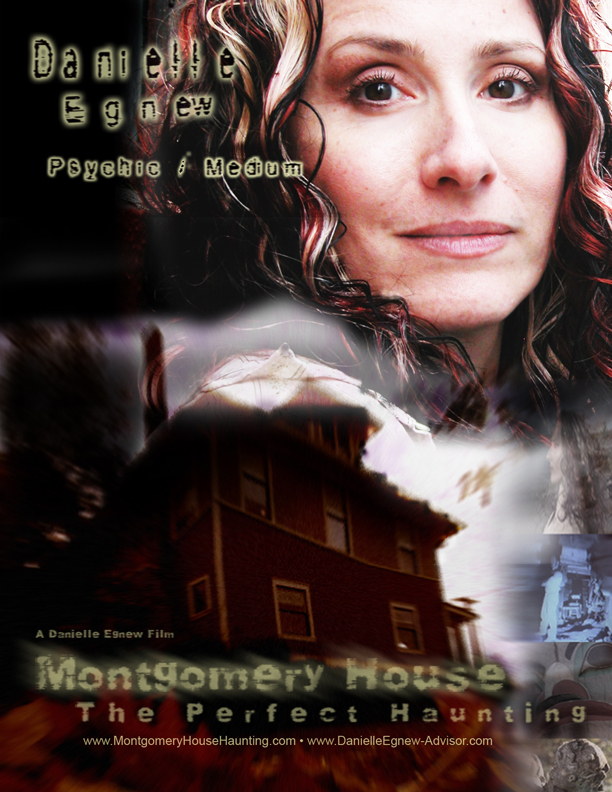 In film, Danielle produced, directed and starred in the history-drenched and evidence-packed feature-length paranormal documentary Montgomery House: The Perfect Haunting (Ave Vox Entertainment 2010), covering one of the most disturbing haunted locations in America. The film, being heralded by Hollywood Today and CNN as “the real-life Paranormal Activity”, highlights the use of Psychics and Sensitives as “tools” in the paranormal investigation process, netting jaw-dropping on-camera evidence such as an actual entity, while featuring the only Cowlitz Indian Death Ritual to ever be captured on film to date. As a filmmaker, it was a great honor to be gifted with such an experience. On TV, Danielle was a proud cast member of the reality series Missing Peace as part of the Psychic crime-solving team who worked with law enforcement investigators to solve cold cases. The process is mediated by host and creator Stephen Hansen. A series crafted on integrity, compassion, and results, Missing Peace is specifically designed to work in tandem with the police and the families of victims, sending the message: No one gets away with murder — anymore. The book explores a wide range of Danielle’s paranormal pursuits: From Ghosts to Demons, Extraterrestrials to Kachinas, Banshees to Elementals, talking plants to people who cannibalize another’s liver, Danielle Egnew has encountered it all — sometimes with more terror than triumph. Uncover secrets of the magnificent yet monstrous unseen world that surrounds us everyday, recounted in exquisite and disturbing detail as experienced first-hand through Danielle’s extraordinary Psychic abilities. At the heart of the chaos, take a rare and candid look into the life and psyche of one of today’s most influential Spiritual and Paranormal personalities. An engaging yet chilling memoir underscored by fascinating history, harrowing humor, and freakish facts, True Tales of the Truly Weird is a powerhouse ethereal expose on what’s really lurking beyond our comfortable realm of understanding, redefining our reality. The question is: Are we ready for the truth? Available on Amazon in hard copy and kindle. 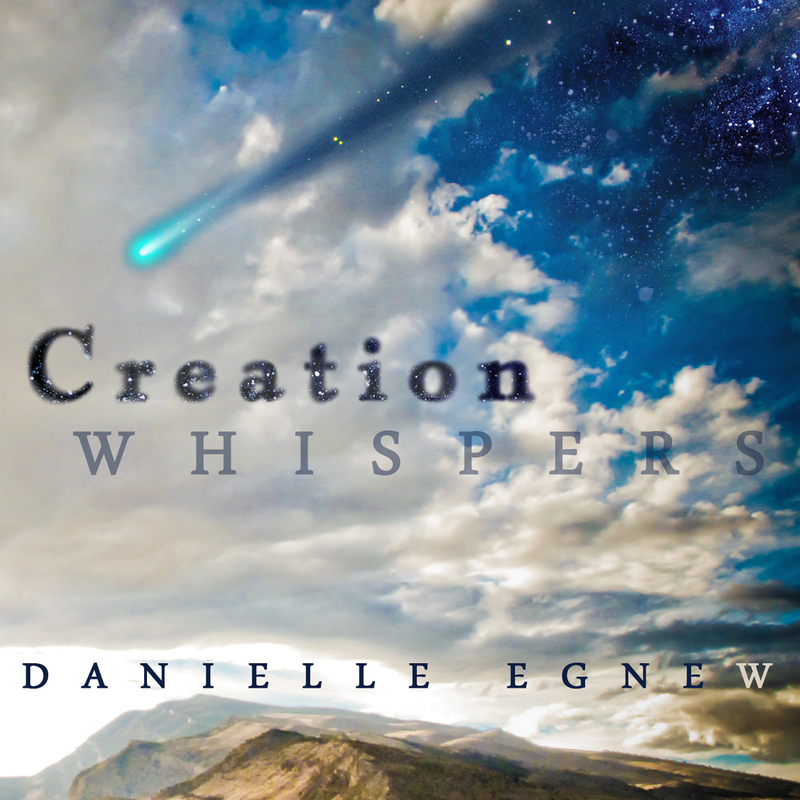 Also a multi award-winning musical artist, Danielle Egnew brings the first of many passive listening mediation experiences to her vast musical catalogue with her album Creation Whispers on iTunes. Using the powerful attributes of sound as a healing and energetic release tool, Danielle has pooled her years of knowledge as a tonal healer as well as producer and musician to compose this highly effective passive-listening ambient mediation CD. 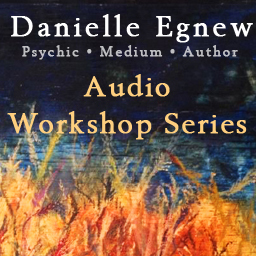 Applying both her sound science and Psychic background to the healing tonal canvas of Creation Whispers, Danielle artfully weaves together specific musical overtones and patterns in order to create harmonics which are designed to trigger relaxing and meditative Theta Wave activation in the brain. Theta Waves are associated with meditation, Psychic ability, and the pre-cursor to deep sleep — or Delta Waves. Creation Whispers is extremely effective for stress relief, chakral cleansing, meditation, and use prior to bedtime. Due to the heightened Theta Wave activity in the brain inspired by this work, it is not recommended to listen while driving or operating heavy machinery. Sit back, relax, and sink into Creation Whispers by Danielle Egnew — and allow the deep healing power of sound to wash away the stresses of life. One of the most engaging spiritual speakers, teachers and lecturers today, Danielle’s ability to illustrate complex spiritual concepts in the most ingestible and entertaining way possible has set her aside. The forums are simple: While channeling Angelic entities and weaving the topics with her own candor, Danielle translates the most intertwined of spiritual principles into an easy-to-apply discussion on implemeting astounding change in everyday life. Downloadable audio files are mp3 format and range in forum length from 1.5 to 3 hours. Immerse yourself in expansive and exciting learning while igniting your deepest potential today! As a paranormal investigator, Danielle is a founding member of the Western Pacific Paranormal Alliance, a paranormal investigation group spread over two states. Danielle has also been a contributing guest member of many other paranormal and UFOlogist teams across the USA. 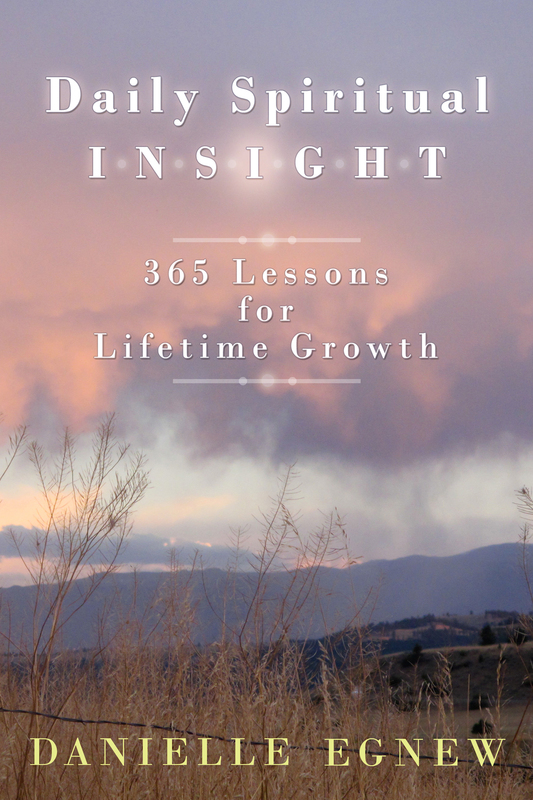 Danielle has been a featured Key Note Speaker, Teacher, and Advisor at many Conventions, Spiritual Healing Centers, and events. She has spearheaded dozens of seminars and forums covering a wide array of spiritual and paranormal phenomenon. Danielle Egnew currently anchors her own private practice in the Big Sky Country of Montana. She has not only volunteered to consult on cases with Law Enforcement, but provides Spiritual Advisory services a range of clientele from Hollywood Studio Heads, Fortune 500 Executives, private clients who simply need personal guidance, and international and celebrity clientele. Between projects she also serves as an outside-the-box Pastor focusing on metaphysical principles through spiritual modalities such as Christianity while focusing on an inter-denominational approach with the acknowledgment that all roads to God — to LOVE — are good. Danielle guest pastors at Unity Christian Church of Billings, MT and the latest 2016 mp3 recorded archives of her spiritual messages may be found online at the Unity of Billings website here. Danielle’s 2015 spiritual messages are also archived: Thursday services / Sunday services. How am I doing with fun? 1. Why most of the ‘good’ psychics preach positive thoughts, enlightenment, personal change etc but seem unable to fight/take out the bad elements (including people) from a person’s life? 2. Why most of the psychics (rare ones excluded) ask for details (like birth dates, problems) about a person, instead of “knowing/seeing” (if they truly posses the ‘clairs’) why that person is there? Hi there, I love your site! I am also a psychic medium and teacher and I love the work I do! I run a website called Lightloveandspirit.com where I bring a down to Earth approach on this not so down to Earth subject. I offer a variety of readings as well as intuitive coaching! I would love a guest spot on your blog if you have any space to fill! My niche kind of found me and currently I work with a lot of overdose and suicide victims. I would love to write a post on what happens after suicide and how a reading with a psychic can help your loved one on the other side! Please let me know if this sounds like something you would be interested in! Excellent Danille, the more voices of reason, the better. May all your work succeed.